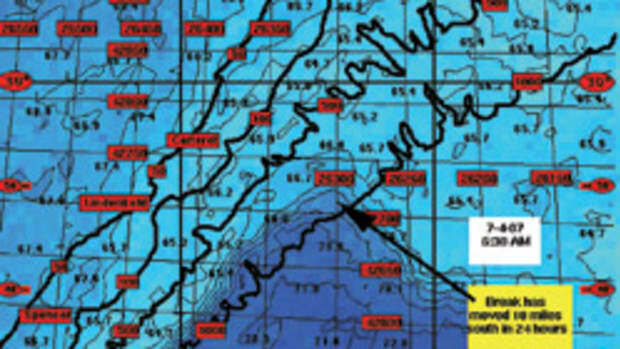 Don’t miss the kingfish ambush about to happen off the coast of Mississippi. Insanity, I tell ya, total and complete insanity! 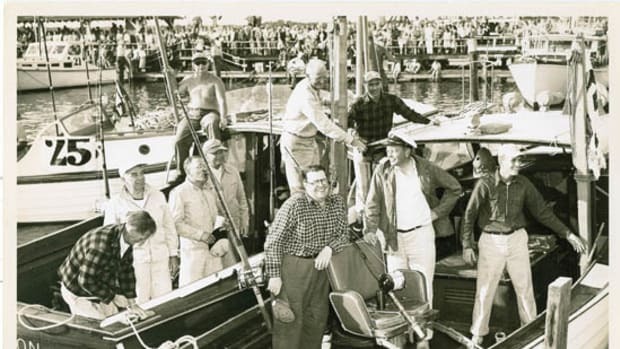 Kingfish will be gathered by the tens of thousands for an ambush of biblical proportions. Totally defenseless innocents will wander into their midst and if you’re there when the carnage begins you will experience fishing that will cause your adrenaline to spike and will raise your blood pressure to stratospheric levels! A checkup and a note from your doctor is advisable. 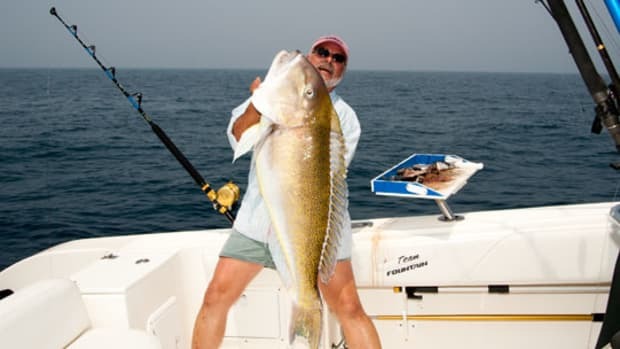 Kings of all sizes take part in frenzied feeding off the Gulf Coast. OK, so what am I talking about? Quite simply a massacre played out in the Gulf of Mexico off the coast of Mississippi each fall. Menhaden by the millions have spent the summer months along the shorelines that rim the Mississippi, Chandeleur, and Breton Sounds. As fall rolls in and the water temperatures cool in these massive estuaries, a migration out into the Gulf begins. 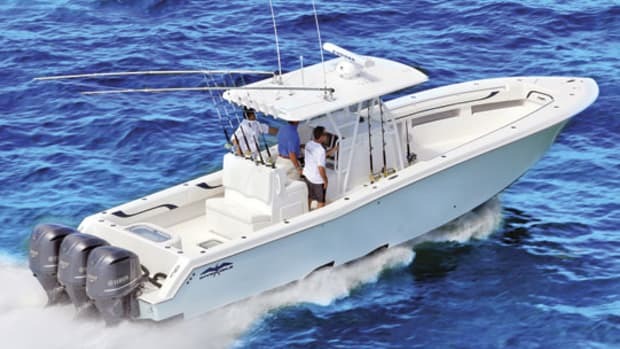 The menhaden, also known as pogies or bunker, dawdle around the shallow waters between the mainland and the barrier islands, and eventually move out into the Gulf proper and into the tooth-lined mouths of massed schools of king mackerel. When the dinner bell rings what happens next is like nothing you’ve ever experienced. 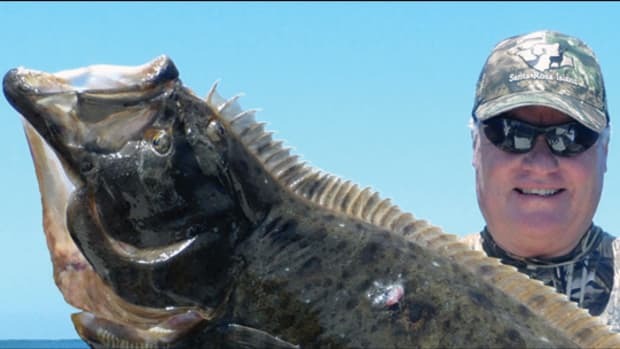 I know this because I have seen it happen on several occasions while attending the Southern Kingfish Association National Championships in Biloxi in November. “Is this the damnedest thing you’ve ever seen?” Capt. George Mitchell yelled to me as kingfish were skying to great heights above the choppy waters over the salt dome, an area hot spot about 75 miles offshore of Biloxi, a couple years ago. They were jumping everywhere we looked. 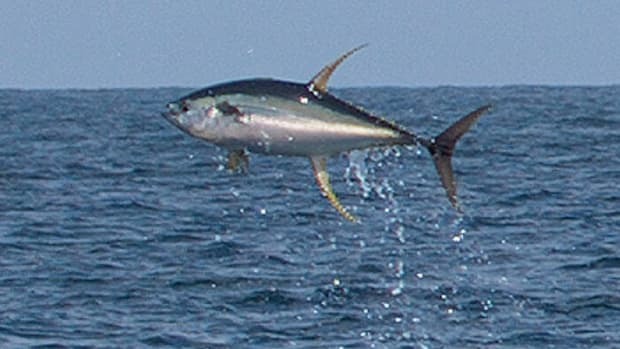 I was aboard his 36-foot Yellowfin on the first day of the SKA Nationals and the ambush was well underway. It would last for days, even weeks, varying in intensity with the ebb and flow of menhaden and other hapless baitfish wandering into the killing fields. We couldn’t get a live baitfish of any species to last more than a few seconds before it was sliced and diced by ravenous kings. The fishing was so stupid we started challenging ourselves, trying to get them to sky on baits suspended from a kite on cue for the camera. I’m a journalist, after all. And George should know. 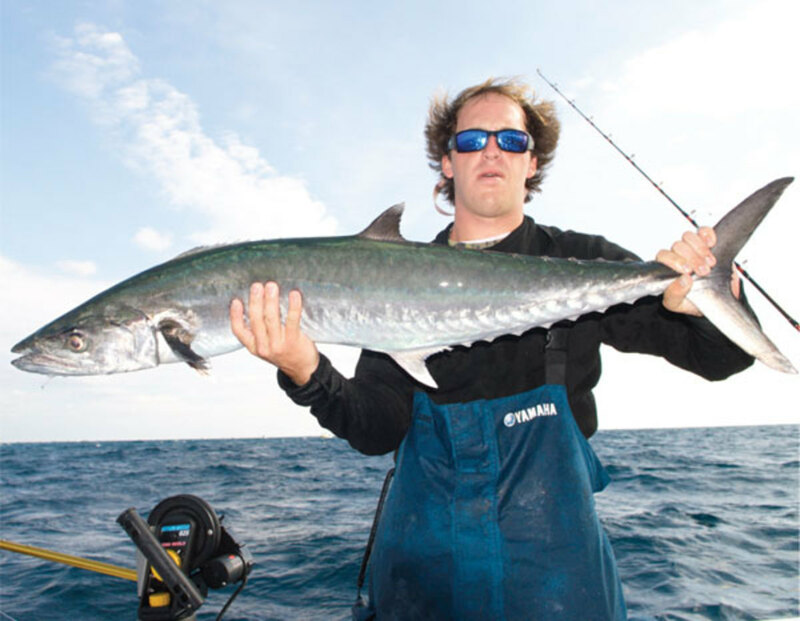 He fishes all the events on the Yamaha Professional Kingfish Tour and a lot of the divisional events on the Mercury Kingfish Trail, too. He splits his chartering schedule between his home waters near Jupiter, Florida, and Venice, Louisiana, so he definitely gets around. 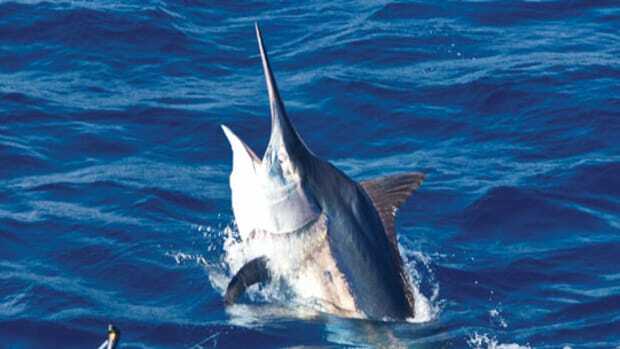 What we experienced that day was fishing at such a frenetic pace it’s almost impossible to explain. The mix of kings included everything from snakes to smokers. 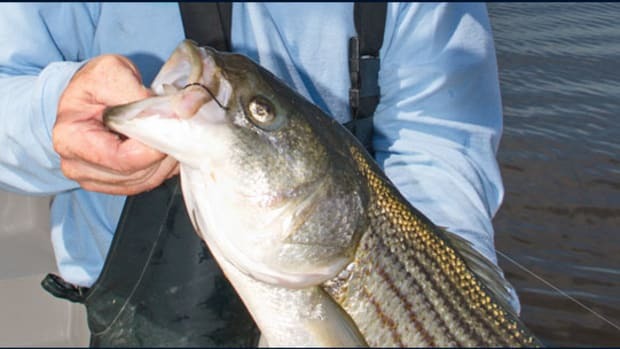 When the bite is on you can catch kings on almost anything, but live blue runners or menhaden are the bait of choice. Use a wire rig with a pair of No. 4 treble hooks spaced so one can be planted in the bait’s nose and the other between the dorsal and tail fins with at least a foot of additional leader to a mini barrel swivel. Use No. 7 camo single-strand stainless wire to get around the dreaded tooth factor. 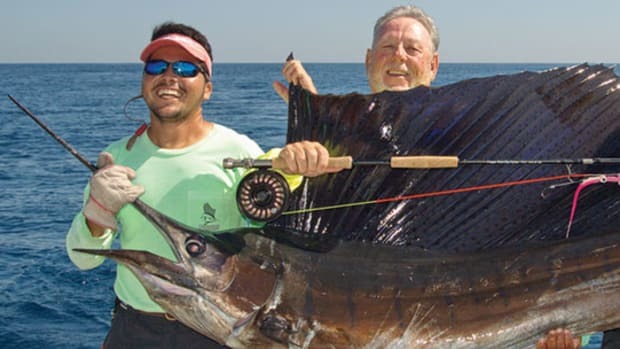 If you ever wanted to catch kingfish, a lot of big, nasty, burn-your-drag-washers-to-the-bone kingfish, this is the time and the place. This is kingfish nirvana!